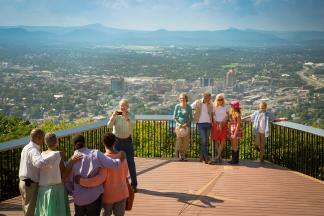 There&apos;s an outstanding selection of things to do for your group in the Roanoke Valley in Virginia&apos;s Blue Ridge. 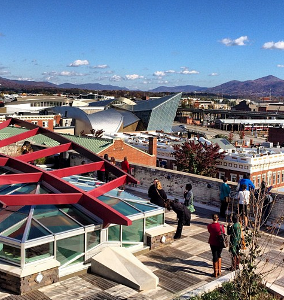 The rich railroad history and heritage of the region, combined with the vibrant arts and cultural community, make for a community full of experiences that tell the story of Virginia&apos;s Blue Ridge. You can learn about the bluegrass roots of the region at local artisan centers, sample the amazing wine and beer at local wineries and breweries, and enjoy unique exhibits at local museums and galleries. Virginia&apos;s Blue Ridge is also home to a wonderful performing arts scene, which is supported by a variety of performance venues and arts organizations that keep the calendar full of shows and concerts throughout the year. The region even offers a photo opportunity your group will never forget at the Roanoke Star & Overlook - a 100-foot-tall mountaintop neon star that also features an overlook of the surrounding valley and mountains. The following is a list of group-friendly attractions and things to do in Virginia&apos;s Blue Ridge.